All sisters, family and friends are invited to tour our Sigma Delta Tau National Headquarters at any time! You will enjoy the unique mix of historical archives and contemporary artwork donated by our talented members. The style of the 5,000 square foot building is classic and timeless. Inscribed bricks line the Sisterhood Garden pathway…right next to the yellow rose bushes and the founders’ commemorative wall. 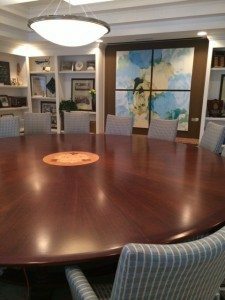 The Headquarters houses our executive office staff and a state-of-the-art conference room for board meetings and training workshops. 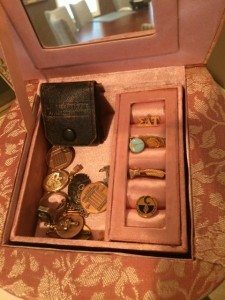 If you have memorabilia from your undergraduate chapter, we would love to preserve and display your treasures. 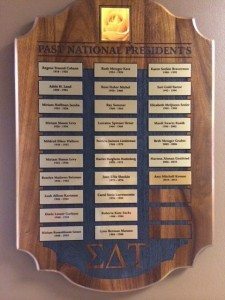 Please contact us at nationaloffice@sigmadeltatau.org and let us know if you have an historical item to donate to our display.